The Gloʔal Whaʔ – A Pronunciation Guide to the Glottal Stop. The glottal stop is a very common sound in British English; you’ve definitely heard it even if you haven’t heard of it. How often a native speaker uses it depends on their accent and how fast they are speaking. All the glottal stops in this article are in red, so let’s make a start, then. You’ll hear from these examples that the glottal stop tends to appear where there is a /t/, though it is also possible as /p/ and /k/ – it largely depends on the accent of the speaker. Possibly the most notable feature of the glottal stop is the inconsistent way native speakers use it. It is difficult to give a rule for any particular accent because everybody from Cockneys in East London to the Royal Family in Buckingham Palace will use it differently and a little bit randomly in their speech. Note that in cockney the glottal stop is used before unstressed vowel sounds – this is one of the most recognisable features of a cockney accent, but is considered by many not to be acceptable in standard pronunciation. This usage of a glottal stop before vowel sounds isn’t confined to London, it‘s pretty common in loads of regional English accents, like in Manchester. In Bristol you’ll hear it as well, we don’t say the ‘t’s at the end normally. ¹ From Queen Elisabeth’s address to the nation in 1997. ²From a BBC Interview in 2016 (view full interview here).  The glottal stop is not a separate sound (phoneme) in English, so you don’t need to use it in order to produce the entire range of English vocabulary. It is, however, a very distinguishable feature of English accents, so learners who are aiming to produce British pronunciation in connected speech need to know how and when to produce it. Love this article. I’ve always been a great fan of glottal stops. Thanks! I’ve shared your great article with my students in Finland. One little question, though. Isn’t “hit man” an example of assimilation /hɪpmæn/ rather than a glottal stop? Or does that also depend on regional accents? How are they different (assimilation and glottal stop)? There are different ways of explaining the way /t/ joins to other consonant sounds. If the next sound is one of /p,b,m/ then you could represent the /t/ as an unreleased /p/ so /ˈhɪpmæn/. In practice, even if this happens, a speaker is likely to put a glottal stop before the /p/, so it would be [ˈhɪʔp̚mæn]. It can be fun to explore these with students – BAPMAN vs BATMAN, HEARTBURN vs HARP BURN, HOT PRESS vs HOP PRESS, with each pair pronounced identically in connected speech if you use the unreleased /p/. These assimilations can happen in any accent, particularly in fast connected speech. The glottal stop is one possible assimilation of /t/, and is also found in sequences that are assimilations of /t/ like the one above. Loved that second to last piece about linking /r/ sounds. I noticed that in my own speech but wasn’t even sure if it’s correct. This helped a lot! Thanks! I’m glad to hear it’s helped. Actually, you have one in your comment there “SURE IF”! Linking /r/ is so widespread now, I think the debate about whether it’s correct is over. There are a few places left where people aren’t sure though – in words like PAWING – does that sound the same as POURING when you say it? Thanks for the good work. That’s one aspect I admire about British English and indeed I’ve learned from the article! Excellent article on the use of the glottal stop. I loved the phonemic/allophonic transcriptions and the audio samples. Thank you very much, I’ve enjoyed the Royal Family examples!!! A great article! Extremely helpful!